When City’s best Asian cuisine restaurant decides to celebrate the Chinese New Year, there actually are no surprises there. 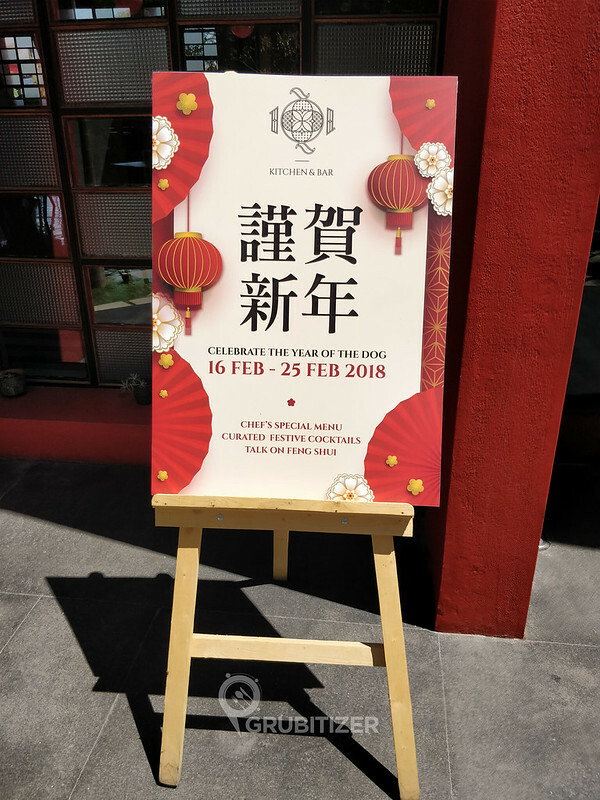 1Q1 is having a special menu to celebrate the Year of the Dog, and that comprises of dishes inspired by the lands of China along with curated festive cocktails that are sure to let you experience the traditions on your table. I was invited to experience this festive menu and having been to 1Q1 previously as well, I knew that am in for a treat! 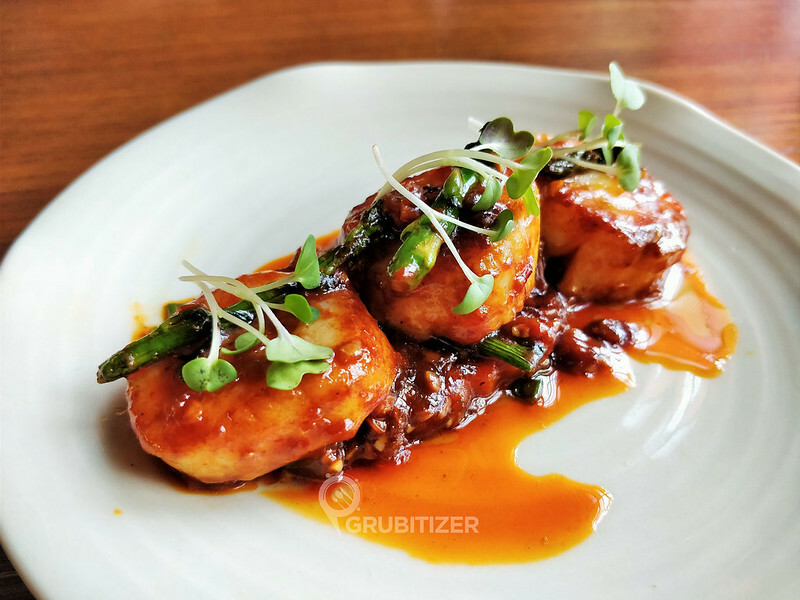 Read the post to know more about what you can expect from your visit to 1Q1 this season to try out the Chef’s special menu to celebrate the Chinese New Year! The festival is on till Mid of March! The menu spans across different courses of a typical meal except for desserts section where you got to check out the regular menu. We began with cocktails, I tried the Mandirini, a perfect blend of white rum, mandarin, sweet lime and kaffir lime leaves, the cocktail is mild and the sweetness goes well with the random bursts of bitter spicy taste. Post this I got my hands on 5 Spice Serpent, a vodka-based drink that had the homemade Chinese five-spice syrup and cranberry juice as other ingredients, more on the sweeter side but this is something you could gulp down in a jiffy and order for another one! Next up was the Chinese Spring Cup, I personally love gin-based cocktails and this tall glass contains a refreshing blend of gin with litchi, cranberry, peach, mint and lime juice, you can safely call it the perfect summer drink! By now I was hungry and down with a couple of cocktails, it was appetisers time. We ordered the Pan Seared Scallops & Asparagus in XO sauce and the General Tsao Chicken. XO sauce has a rich history of being originated in Hong Kong and it is extensively used in various preparations during the Chinese New Year, otherwise, it is a very prominent ingredient in Southern Chinese regions. 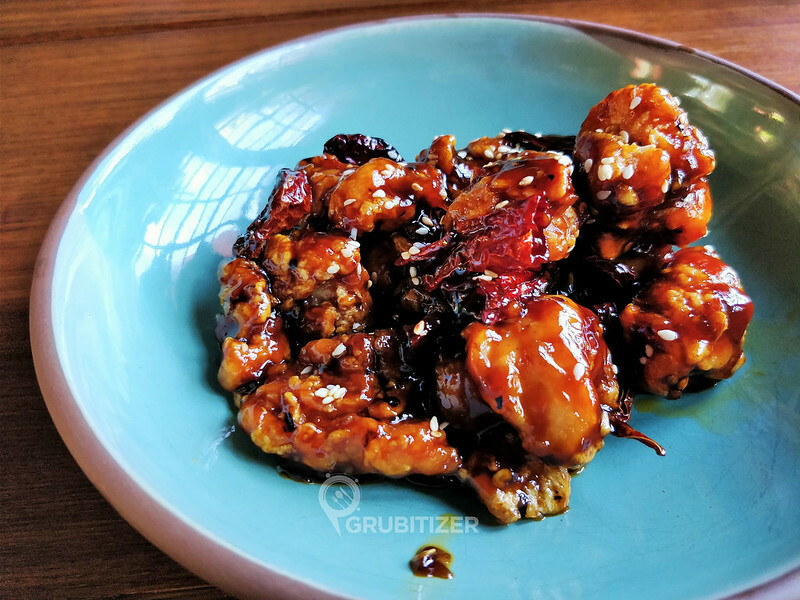 The starters were an instant hit, the Sichuan chicken was crispy on the outside and juicy inside and the sauce imparts a nice mix of spicy, sweet and sour taste. 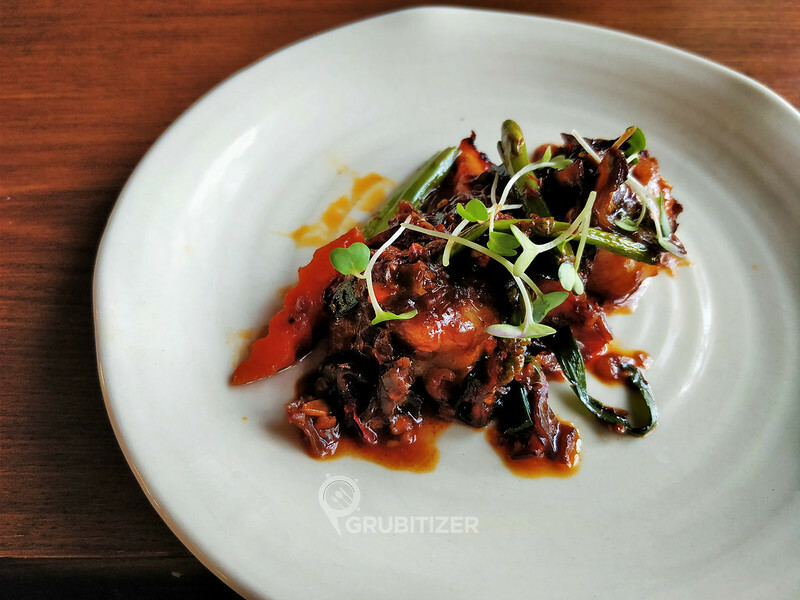 We loved the XO sauce preparation and ended up ordering a tasting portion of stir-fried prawns in the same combination, it was delicious all the way. Steamed Mushroom and Black Truffle Oil and Steamed Chicken Gyoza (Steamed) came in from the Dimsums section. 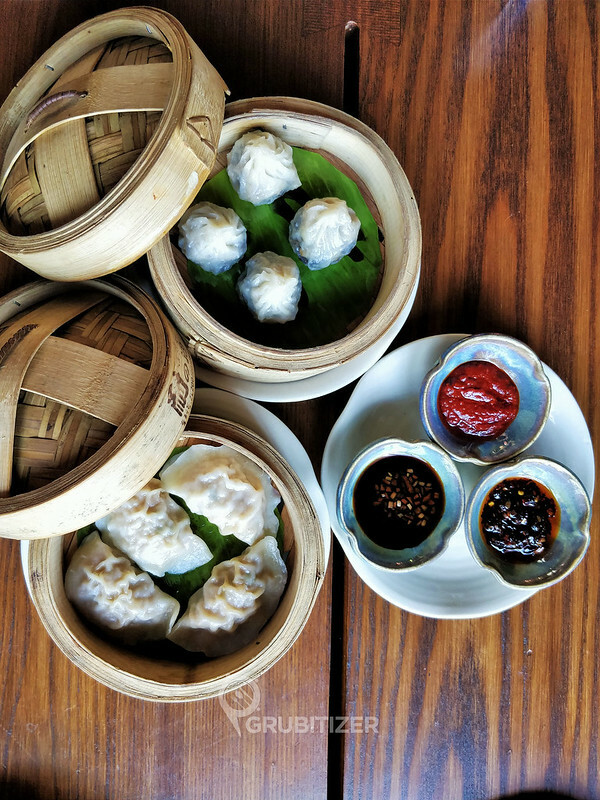 These easily stand out to be one of the most refined versions of Dimsums I’ve had in recent times, and they say Chinese dumplings symbolises wealth so better get your hands on them when you’re here!! We had loads of interesting conversation with Chef Manjit Singh who shared his adventures around exploring food across the globe and I must say that we got to learn so much about the world and local cuisine from him. 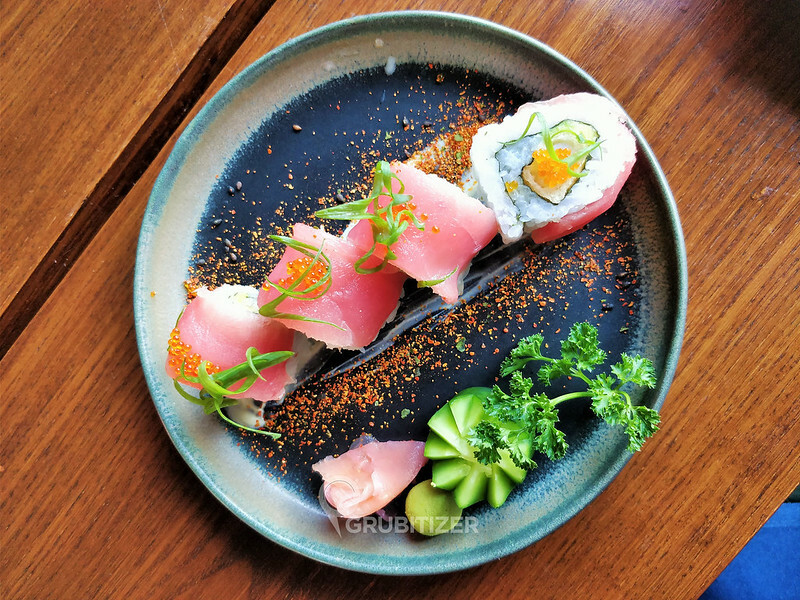 So Nikkei cuisine is a mix of Peruvian and Japanese cuisine and 1Q1 is probably the only place in Namma Bengaluru from what I know (if you know any other places then please let me know in the comments section) that offers dishes that are derived from this cuisine. 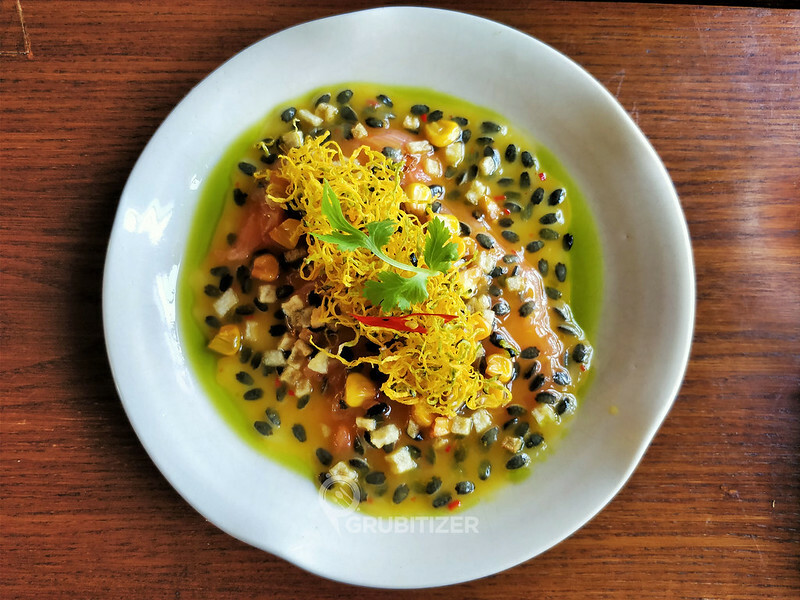 We tried three things here – Nikkei Salmon Sashimi with Passion Fruit Leche Tigre where the Salmon gets cooked in the acidity imparted by passion fruit and it goes really well with crunchy sweet potato bits sprinkled on top. 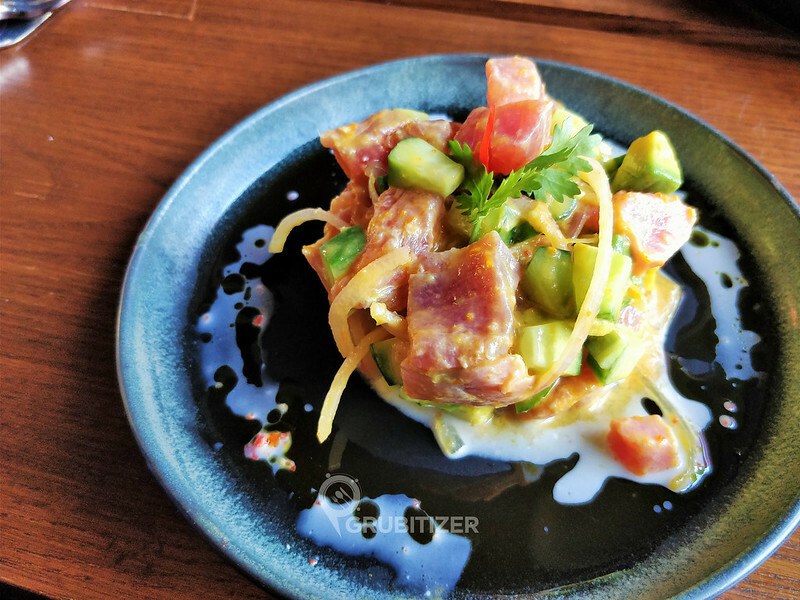 Tuna Ceviche with Aji Amarillo Leche Tigre and Coriander Oil, where the Aji Amarillo is a South American pungent sauce that works as a brilliant dressing to the salad. Peruvian Maki Acevichado was my personal favourite, it is prawn tempura coated with bread crumbs and a layer of cream cheese around it, an outer layer of Tuna and Caviar takes this dish to a completely different level, we thoroughly loved this bit of our lunch here. We then got back to the Chinese New Year Menu and it was Main Course time!! We had Mapo Tofu with Chicken and paired this with Sichuan noodles. 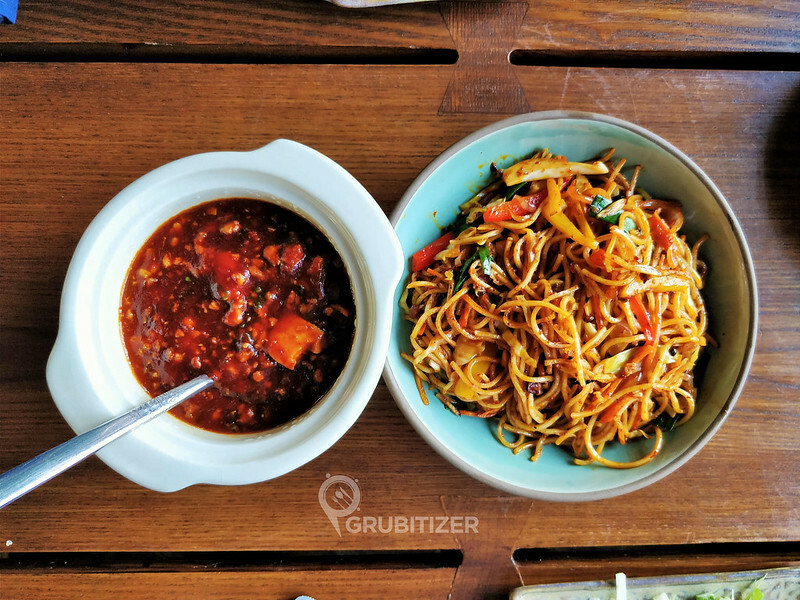 The Mapo Tofu is a Chengdu speciality that’s predominantly made using a paste of Toban Djan (chilli bean sauce) and black bean sauce that’s then mixed with Tofu. Peking duck is something that the Chinese have been eating since the 13th century and since then duck continuous to be a symbol of Chinese cuisine so what’s a Chinese New Year meal without tasting it! 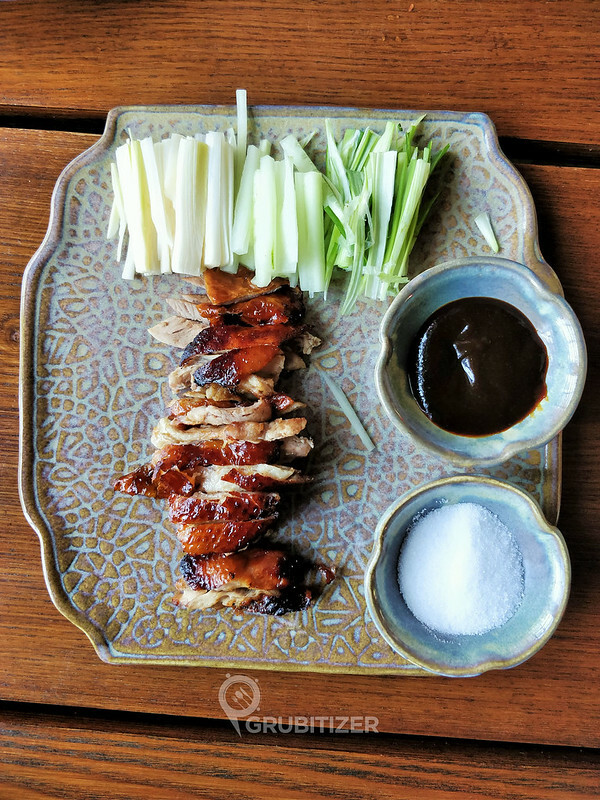 Chef brought us a tasting portion of this classic preparation where you have to roll the hoisin-sweetened duck meat and scallions in a pancake. 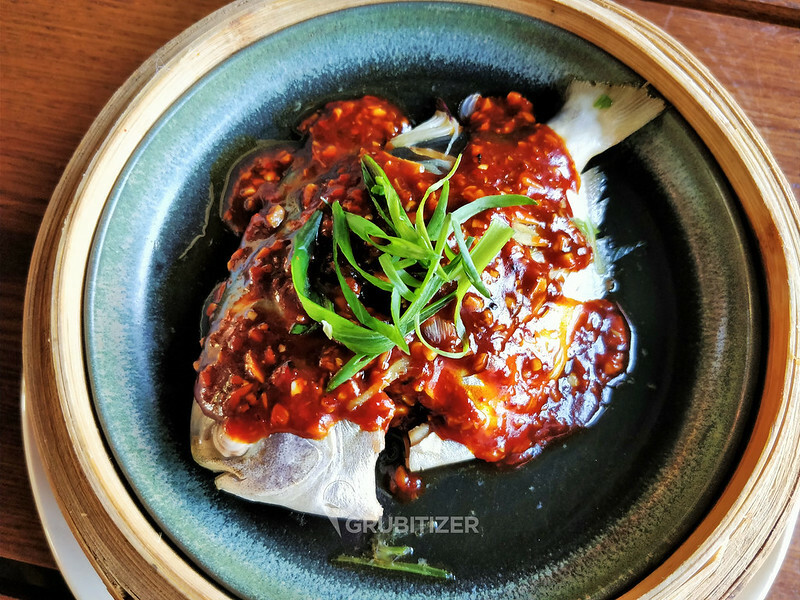 Next up was the seafood bit of our main course, we tried the brilliantly plated Steamed Pomfret with Sesame and Soy sauce with Sichuan oil. This is a delight to eat and the entire process of breaking open the fish meat from the bones is so seamless that goes on to show how well the fish was cooked, the layer of different sauces on top gives the dish a nice and spicy taste. 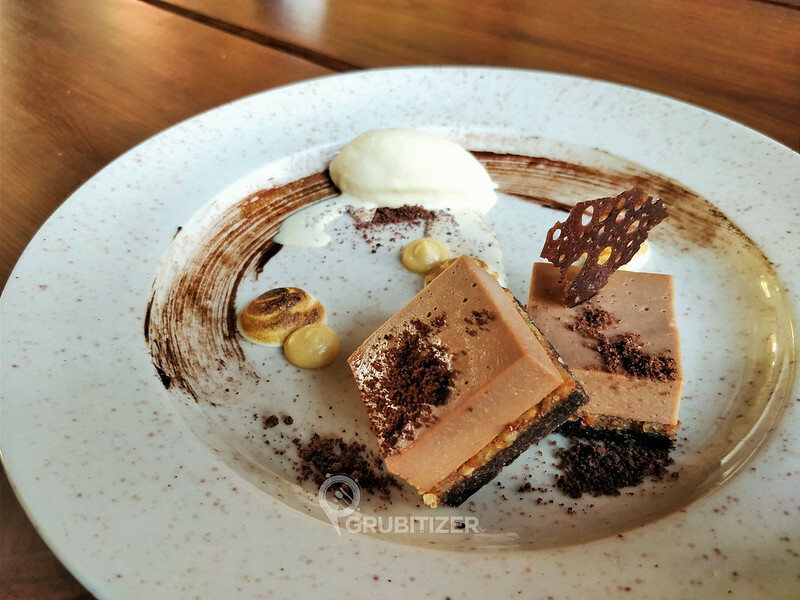 Moving on to desserts… if you dint know 1Q1 has some of the finest desserts in Namma Bengaluru that has potential to set your Instagram on fire! 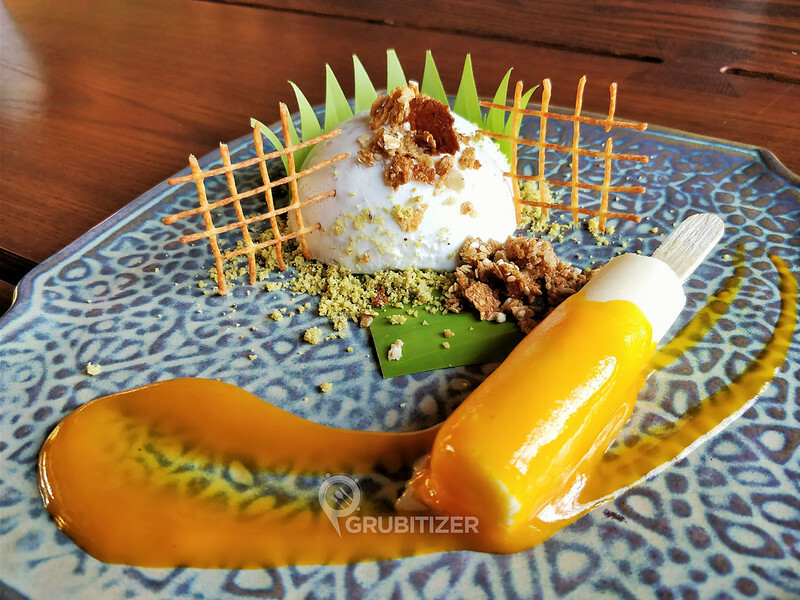 We ordered the Le Cocobar and Coconut Milk Pandan and Sticky Rice Pannacotta with Mango Duet, one bite of this dessert and it reminded me of the Thai speciality – Sticky rice with Mango, the flavours imparted by this dessert is a carbon copy of what I had when I was in Thailand last year. 1Q1 also has a range of gourmet coffee to offer, we tried the Espresso Macchiato and Espresso Romano, another must-have here! 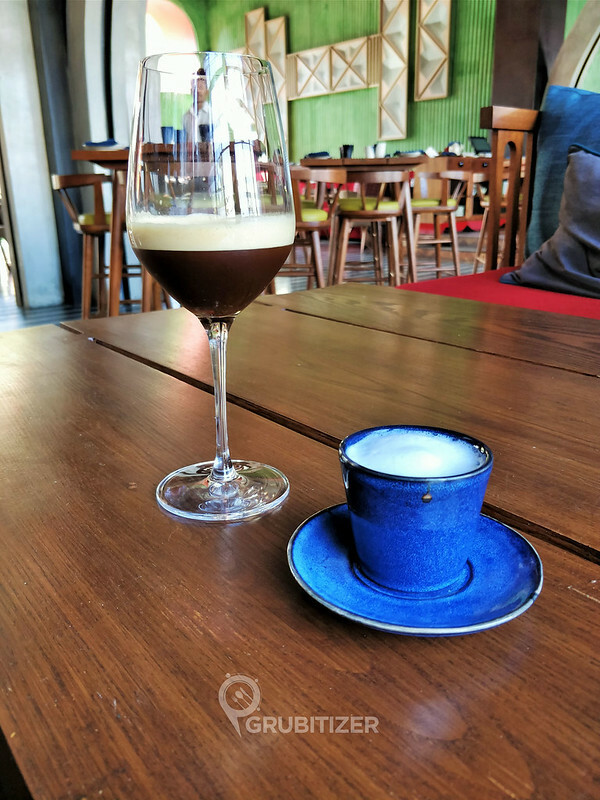 Loved the caffeine burst you get on every sip of the Macchiato and this eventually mellows down – you see the layer of milk that tones down the flavour. That brings an end to one of the best meals I’ve had in recent times and the Chinese New Year Menu at 1Q1 is something you cannot afford to miss. The festive spread is available till mid of March and is an a-la-carte offering. 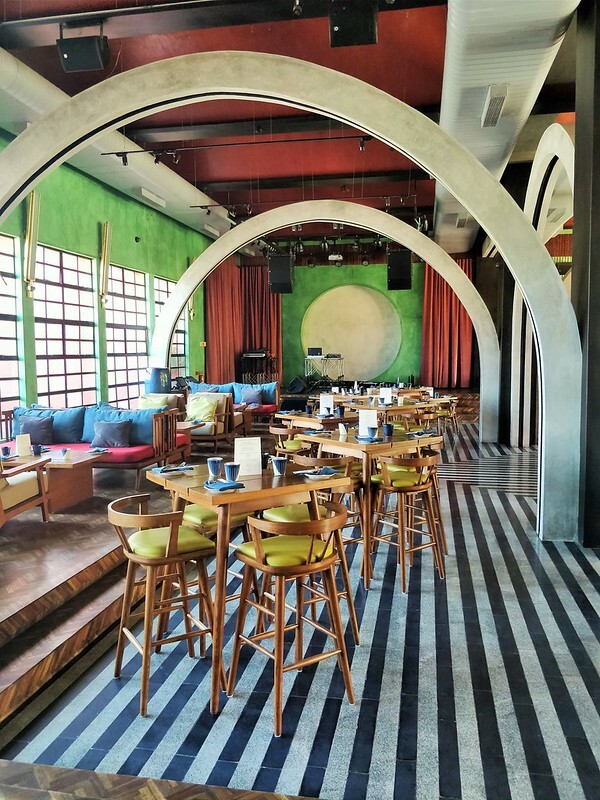 Previous Post: Enerjuvate Studio & Cafe – Koramangala!